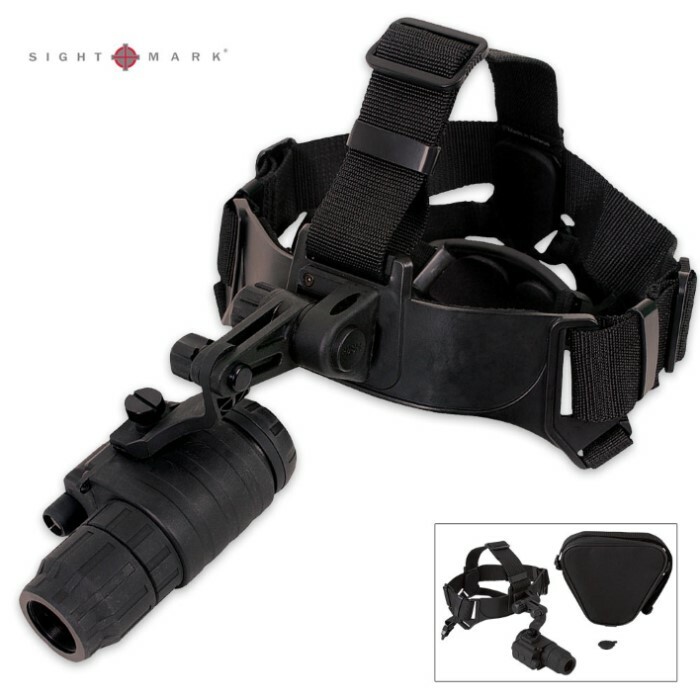 Sightmark 1 x 24 Night Vision Monocular Goggle Kit | BUDK.com - Knives & Swords At The Lowest Prices! 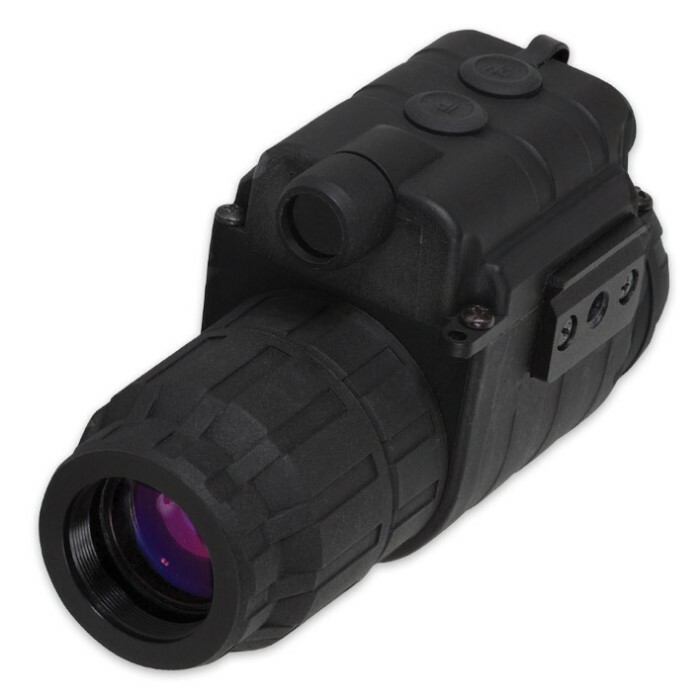 When you're looking for the best night vision optics out there, you're looking for the Sightmark Ghost Hunter Night Vision Goggle Kit. It delivers a high quality image and resolution that illuminates the darkest night with maximum visibility. The monocular is equipped with a head mount for comfortable, long-lasting, hands-free operation when flipped down, and can be flipped up when not in use. 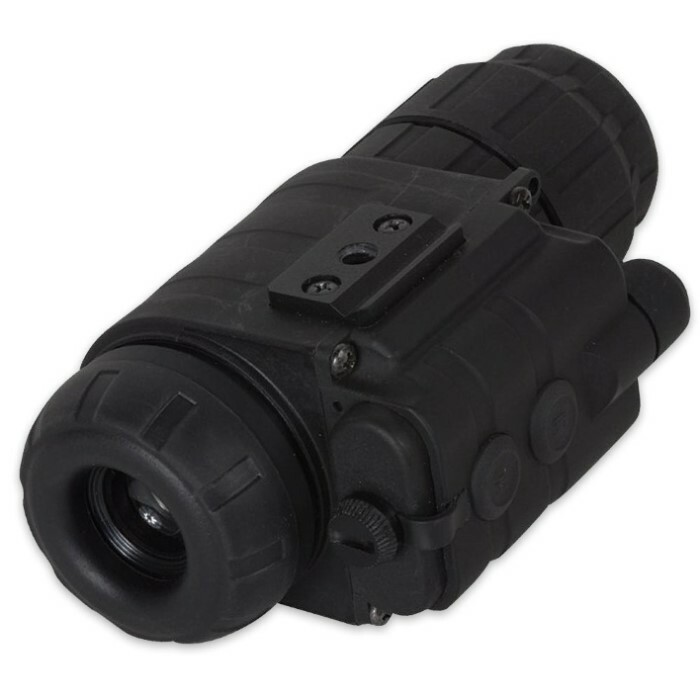 The monocular has a 1x magnification that allows the user to maintain depth perception and view images clearly while navigating, and features a built-in IR illuminator for extra range in darker situations. Included is an automatic shut-off feature, which turns off the unit when exposed to bright light sources, ensuring years of operation. A carrying case and lens cloth completes this package.